Regentagsdepression? Hier ist das Gegengift. Ja, wir alle haben diesen kranken und geradezu traumatisierenden Sommer satt. Versuch’s doch mal mit dem ultimativen Gegengift, man munkelt es hiesse “Musik” und auf jene, die sich trauen, warten unbekannte Klänge und Lieder aus eurer Region oder von andersher. Neue Mx3-Funktionen: Nach Stil sortiert findest du die neuen Uploads und On Airs! Das neue Mx3.ch hat so viele verbesserte Funktionen! Jetzt kann man durch die neuen ON AIRs/Lieder/Videos und Stats jedes Musikstils klicken. Vielleicht machst du ja heute Abend eine erstaunliche neue musikalische Entdeckung?! Wer’s nicht versucht, wird’s nie herausfinden. Everything is new and everything is fresh… but just in time for the weekend, where there is time to check out the new MX3! We know that it is still a bit buggy, but yeah, we are working on it. 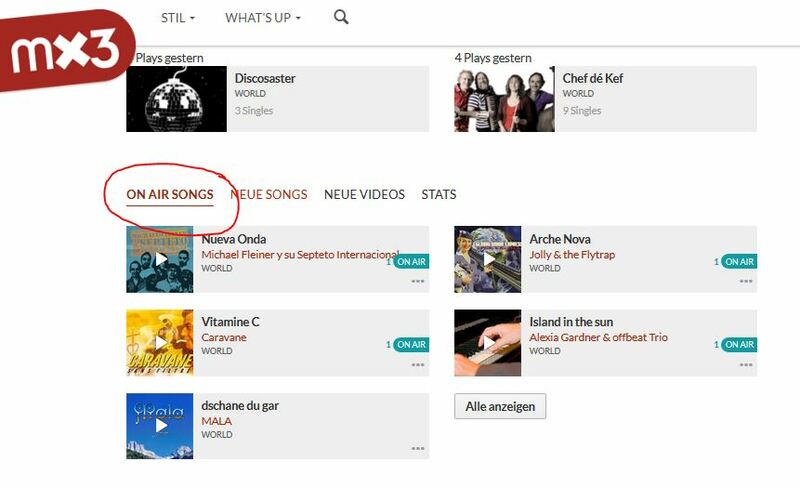 For example: Browse through the categories and find new music that you like. Now, if you click on a song, the player doesn’t automatically pop out, but you have the control button in the upper right corner. By the way: The old shortcurts should still be working. Hey baby… what’s your STYLE? I like folk music a lot, also rock and pop… but sometimes I just need to funk my ears up or to chill out with a classy jazz tune! 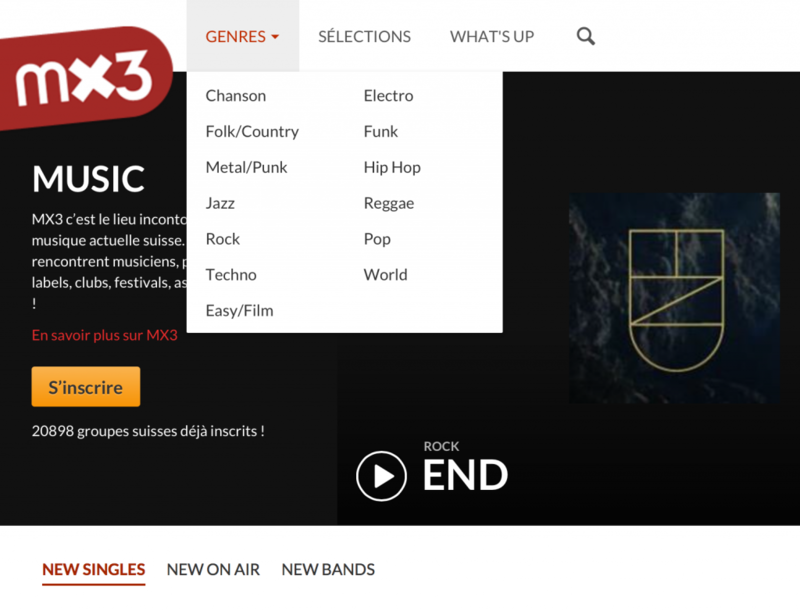 The new version of Mx3 allows you (finally…:-) to navigate per genre. Start your musical journey by selecting your favourite style on the home page and you’ll discover the new on airs, great selections, last registered bands, uploaded singles and much more… all related to the style of music you selected! Isn’t it a gas?!?!? !